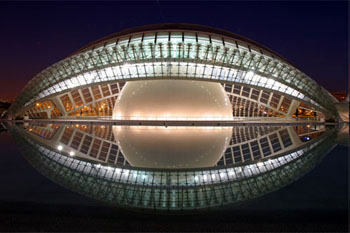 The campus of the Universitat Politècnica de València spans 1300 m by 400 m east of the Valencia access from the Barcelona highway. The conference will take place in the conference hall of the Blue Cube of the CPI, which is at the south east corner of campus, next to the crossing of Avenida de los Naranjos and Calle del Ingeniero Fausto Elio. The CPI building has more than 20 entries, and it is impossible to post signs pointing to geoENV2012. The Blue Cube appears, in the University maps, as building 8B, once there you can either go to the basement and look for access N and take the elevator to the 3rd floor, or go up, take the transparent lift to the 3rd floor, exit to your right and walk to the last cube.The CPI is a very prominent building that looks like a big brown shoe box (without windows) with cubes of different colors on top. Line 3 (RED) towards Rafelbunyol. Exchange in Benimaclet stop for tram line 4 towards Doctor Lluch or towards Marítim-Serreria. Climb down in Serreria. Line 5 (GREEN) towards Marítim-Serrería, then continue with tram line 6 towards Tossal del Rei. Climb down in Serreria. Doctor Lluch – Mas del Rosari. Doctor Lluch – Vicent Andrés Estellés. Doctor Lluch – Feria Valencia, only in service when there is a fair. Tossal del Rei – Tarongers. Line 1. Estació Autobusos – La Malva-rosa. Line 9. La Torre – Universitats. Line 18. Malilla – Universitats. Line 29. Mislata – Universitats. Line 30. Natzaret – Hospital Clínic. Line 40. Universitats – Estació del Nord (RENFE). Line 41. Universitats – Plaça d’Espanya. Line 71. La Llum – Universitats. The deadlines for extended abstract submission and early bird registration have been extended until May 15th. Registration is open. Register at a reduced price before May 1st. Remember that at least one of the presenters of each paper must register before May 1st in order for their contribution to be included in the final program. Remember also that May 1st is the deadline to submit your extended abstract or paper. In order to ensure that the remote attendants via internet enjoy good streaming of the conference, the number of webcast-only registrations will be limited to 100. Hurry up if you wish to listen to our keynote speakers, or any of the presentations given in the plenary session and in one of the parallel sessions. For your information, the list of accepted abstracts can be consulted here. 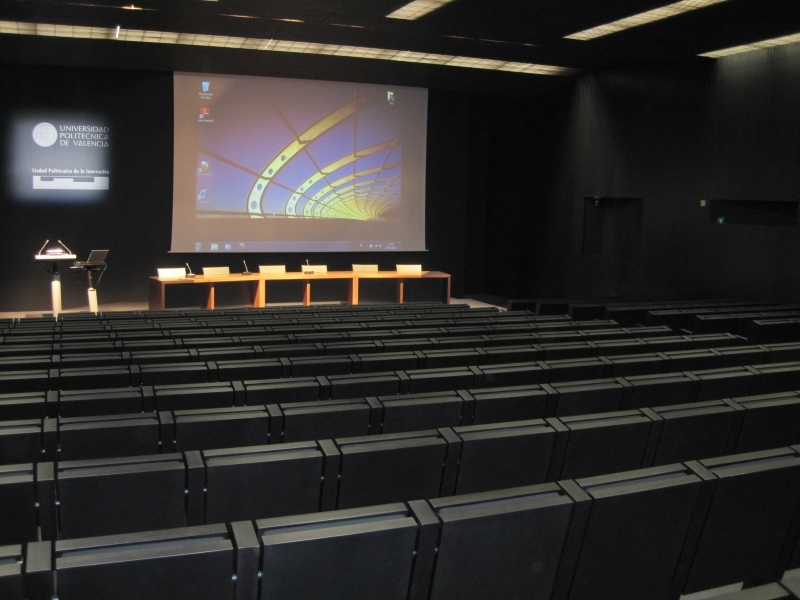 Thanks to the modern facilities available in the conference venue, all sessions taking place in the conference hall of the Blue Cube will be webcast. These include keynote speeches, plenary presentations and the presentations from one of the parallel sessions. If you cannot attend the conference but you wish to follow it, live, you can register for Webcast Only in the registration desk. A unique link will be mailed to you when the date of the conference gets closer, for you to watch and listen.